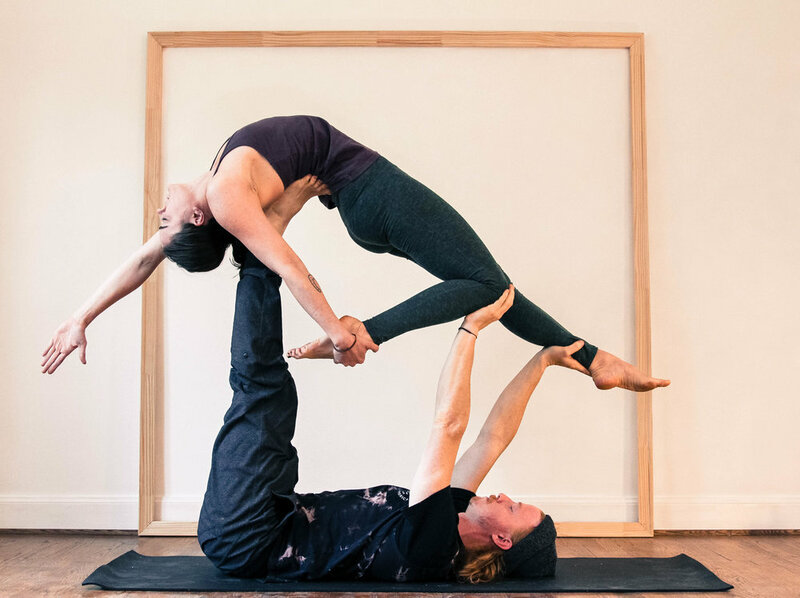 Join Celeste Greene and Nick Major in a restorative partner yoga workshop with a taste of acro therapeutics (No Partner Necessary) and thai massage. Come all - friends, partners and singles are welcome! The question we will be exploring in this 2 hour workshop: How is the way you are in relationship to others and your life showing up in your body? Nourish & restore your bodies and your partnerships as you explore resting, stretching and massaging with intentional touch. 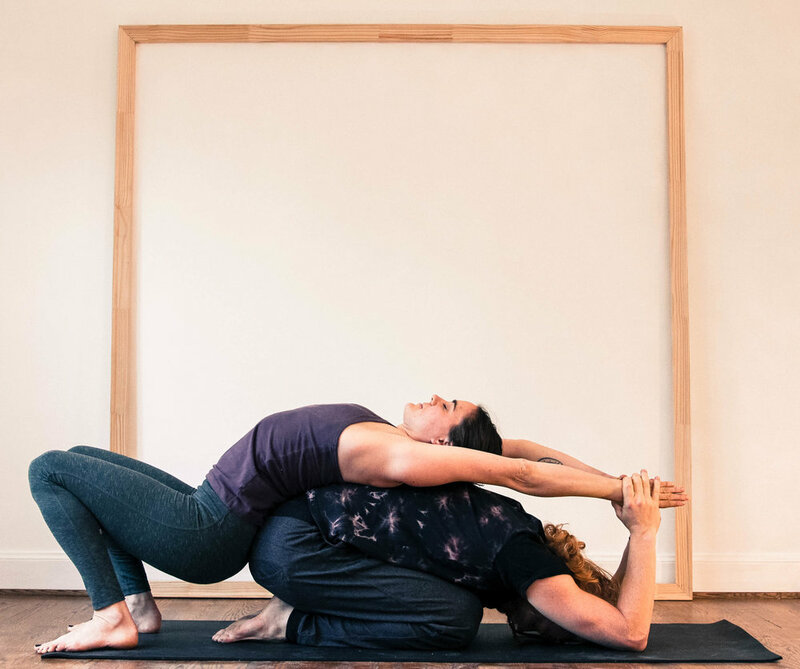 Nick and Celeste will lead a partner grounding sequence, followed by some partner calibration skills then easing into therapeutic acro yoga postures and winding down our practice with some restorative thai yoga massage techniques. Learn how to give & receive support from one another while building compassion, trust, sensitivity and communication. Nick and Celeste will offer modifications to accommodate various bodies, flexibility levels, and experience. Come find yoga poses in a new way with the addition of another body! All skill levels are welcome!